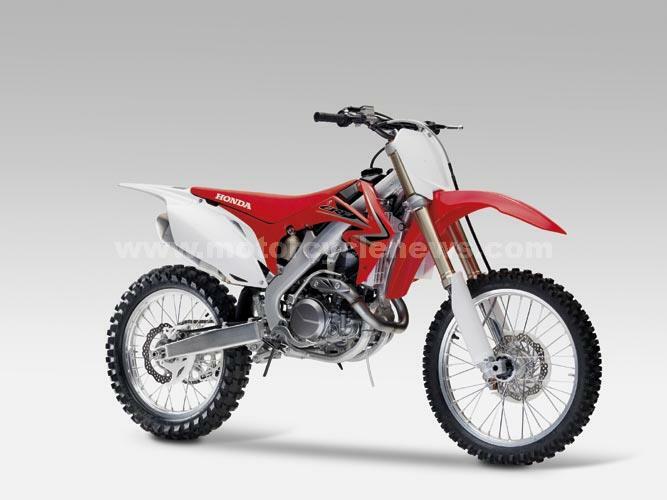 Honda has totally redesigned its all-conquering CRF450R motocross bike for the first time with an all-new frame, suspension and motor that uses fuel injection. And they claim in tests it’s two seconds per lap faster than the 2008 bike it replaces. 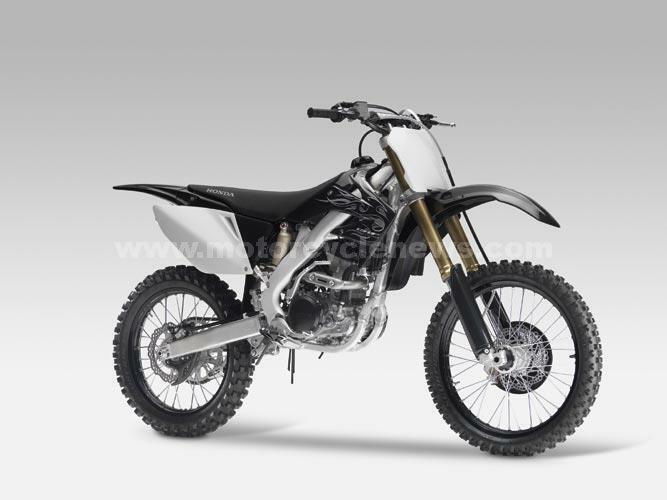 The bike – the world’s biggest-selling big-bore motocrosser since it was launched in 2002 – uses Keihin fuel injection that doesn’t use a battery but relies on current generated from the crank to power it. A prod of the kickstarter provides enough juice to fire the single-cylinder bike into life. The engine uses the tried-and-tested single overhead unicam system but has been redesigned form the ground up using thin-walled crankcases for lightness. The motor weighs an impressive 1.8kg less than the 2008 bike. The all-new titanium exhaust system now exits the left side of the cylinder and snakes around in front of the frame. This allows the silencer unit to be moved 115mm forward, improving mass centralisation for better handling. Honda remains the only manufacturer to fit a steering damper as standard but for 2009 this has been revalved to match the more nimble frame. Honda’s 2009 bikes are due to hit dealers next month but prices have not yet been announced. A LIMITED-EDITION all-black version of Honda’s CRF250 is finally coming to the UK, a year after it hit the U.S.
With black bodywork, seat, rims, crankcase covers and flame graphic, it’s the first time Honda has offered its CR range in anything other than red. A traditional red version will also be available. The bike differs from the 2008 model with detail changes to the engine and gearbox, and shares the sleek new styling of its 45occ big brother.